I really like the work here Bortusk Leer’s Monsters. I see them around Hackney from time to time and I adore them. Simple clever, striking, unpretentious – just great. Just a room full of art from some of our favourite artists for a week (or two). 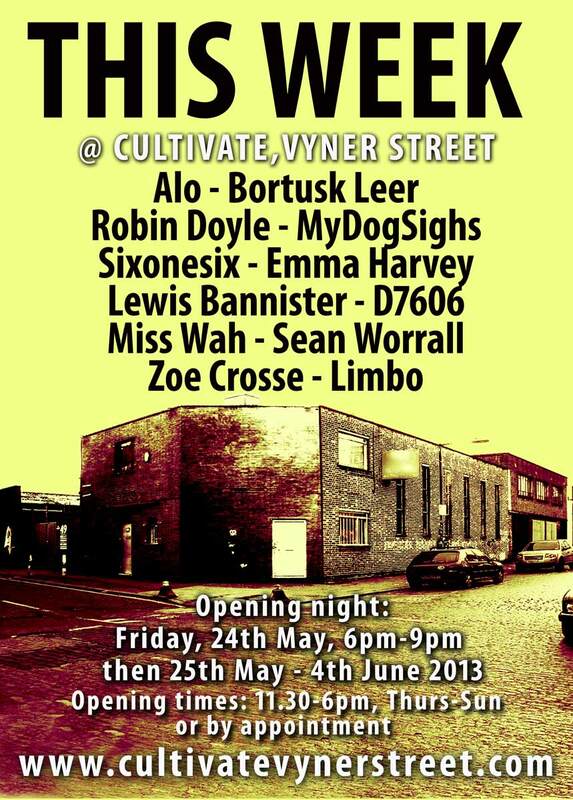 featuring ALO, BORTUSK LEER, ROBIN DOYLE (AKA What Have I Done Now), MYDOG SIGHS, SIXONESIX, D7606, EMMA HARVEY. LEWIS BANISTER, MISS WAH, ZOE CROSSE, LIMBO and more. A busy way to use a room while we wait for the flowers to grow.